Steve Slaunwhite talks with Charlotte Hicks on a copywriting project that's in high demand right now — website makeovers. Get tips on what to expect and how to successfully complete a website makeover project. Podcast EpisodeA big project can be a mixed blessing. It pays well but it can be intimidating if you haven&apos;t done that type of project before. In this episode, Steve Slaunwhite gives you six tips to make completing the project easier. In this week&apos;s episode, Steve Slaunwhite discusses strategies to find SEO keywords and keyphrases for your writing projects. In this week&apos;s episode, Steve Slaunwhite shares practical techniques on how to integrate SEO keywords and keyphrases into your copy so they sound natural. It&apos;s common for a client to ask you to select an image for a blog post you write for them. In this episode, Steve Slaunwhite has tips on choosing the best image for your post. When you use these buyer insights you&apos;ll write better B2B copy and you&apos;ll be able to complete your projects more quickly. 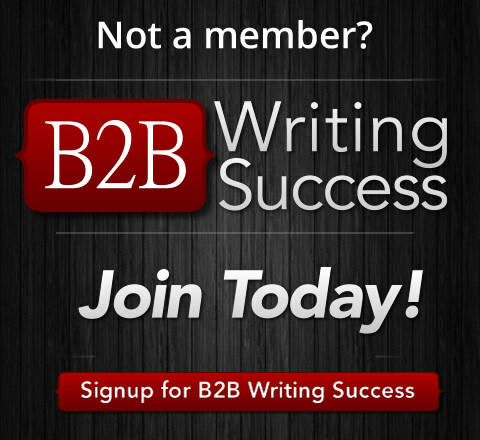 One segment of B2B copywriting is writing for professionals such as speakers, physicians, or real estate professionals. In this week&apos;s podcast, Steve Slaunwhite gives you a few helpful tips on writing effective “B2P” copy. It&apos;s important to write about both practical and emotional benefits. Use these tips when you&apos;re writing about emotional benefits so your prospect is convinced to take the next step. Steve Slaunwhite goes through nine trends he&apos;s seeing in B2B copywriting so you can jump on the upcoming opportunities. If you don&apos;t have experience in a particular industry or if they have complex products and services, the thought of writing for them can be intimidating. But here&apos;s why you may want to give it a try.